Life is always full of surprises. Good or bad, they help us grow. Rowena Donaire and her family were struck by one big surprising challenge; but with determination, they were able to overcome it. 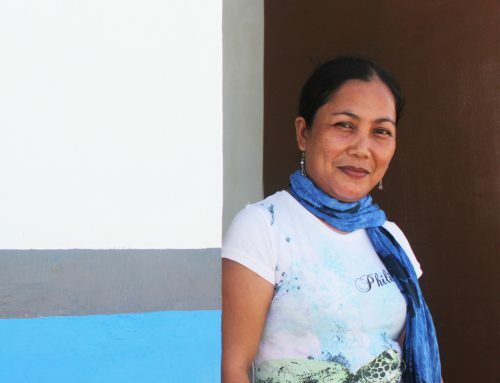 She is a part-time laundress, while her husband works countless hours as a hollow block maker at a local construction supplies factory in Ormoc. What they earn each month was barely enough for food, rent, and their daughter’s education. Then, just when things couldn’t get any worse, Super Typhoon Yolanda (Haiyan) hit. With no food and no place to live, they had to rely on relief from various groups. “It was difficult because you had to squeeze through so many people who were also as desperate as we were. There were times when we couldn’t get any food and we had no choice but to go hungry”. The couple had to do something, and they had to do it fast. They didn’t want to go back to living in a pig sty. So they signed up with the Ormoc Community Cooperative, a local co-op organization Habitat for Humanity Philippines partnered with to help disaster-affected families in the city. One day, Rowena and her family received very unexpected news: They were going to have a new home. Rowena and her family couldn’t believe it. Just when they thought it was over, when they were nearing the end of their rope, God surprised them. 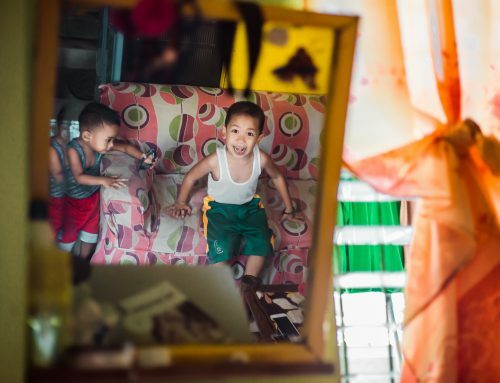 Ever since the Donaire family moved into their new home, their lives started to change. But the surprises don’t end there. 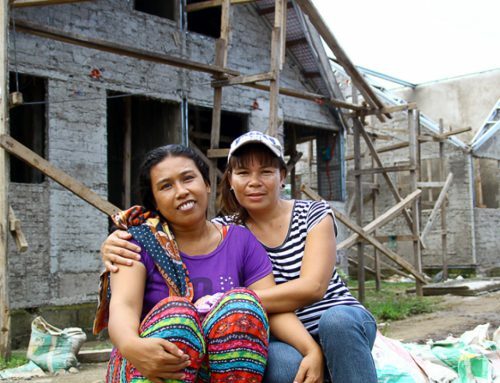 Her husband found a construction job with a higher salary, and Rowena started working part-time again. Soon, they were able to buy a simple but comfortable living room set, a TV with a console, a bed and a water dispenser, among other furniture. 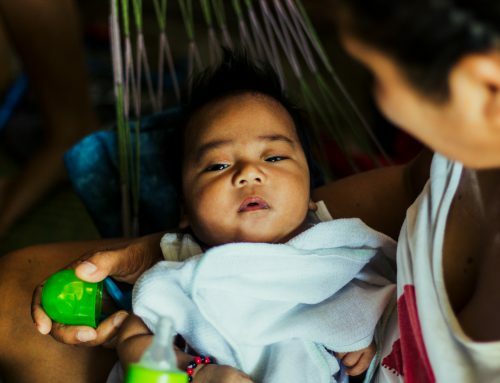 The couple can now also set aside some money for their future, and not least of all, their daughter no longer has to worry about transferring schools and studying because she now has a comfortable place to do her homework. Homes open doors to new opportunities. For Rowena and her family, their new home was an unexpected blessing that ushered in the beginning of their new life.